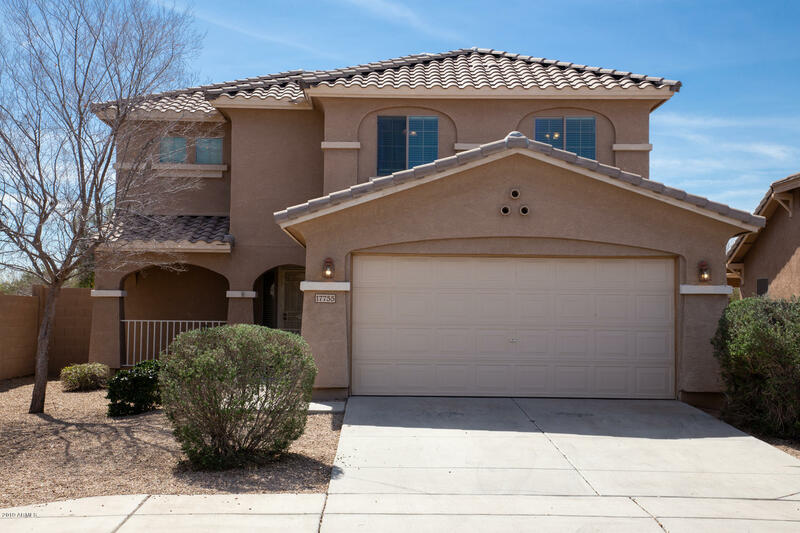 All SIERRA MONTANA PARCEL 9 homes currently listed for sale in Surprise as of 04/20/2019 are shown below. You can change the search criteria at any time by pressing the 'Change Search' button below. "Updated 4 BR 2.5 BA & Loft . MAIN LEVEL: Foyer leads to Fam Rm, sliding glass door to yard. Open to Fam Rm Granite kitchen, breakfast bar, new sink, faucet, walk-in pantry, electric stove, Desirable First floor: 1/2 Bath. Master Bedroom & Bath with double sinks. SECOND LEVEL: You will immediately view the large loft, which could be your playroom, computer station, or extra sleeping area. Convenient 2nd floor laundry room. Hall bathroom, three bedrooms. Amenities: 18'' tile, panel doors throug"
"Beautiful 4 Bed Surprise HomeThis is a beautiful home. Downstairs rooms include living and dining room, one bedroom, kitchen with pantry and lots of cabinet space. 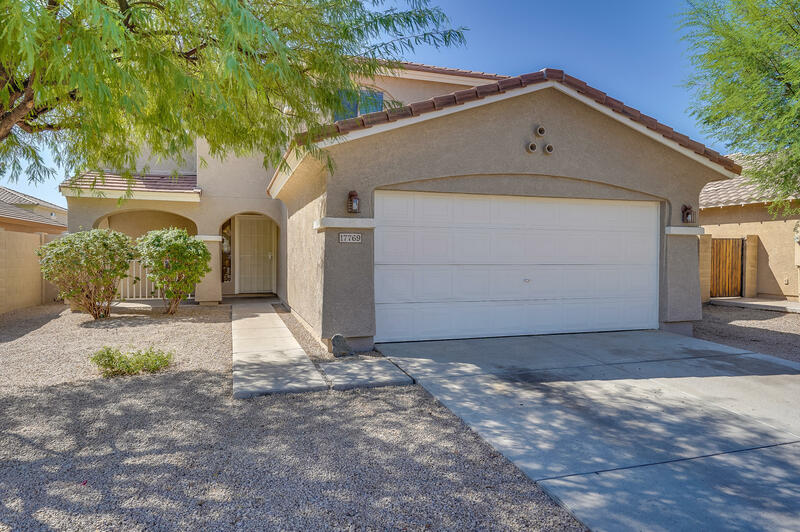 Recently this home has been upgraded with new appliances, new slab granite counter tops in kitchen, new paint, new carpet and light fixtures. Upstairs three additional nice size bedrooms. Large backyard. Two car garage!"